Amazing penthouse with massive 672-square-foot private rooftop terrace! 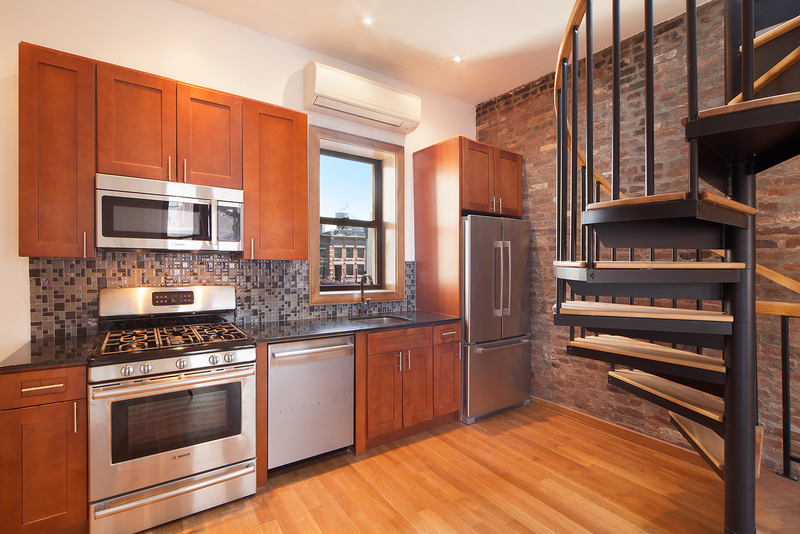 Located on one of the prettiest blocks in Soho, this fully renovated building is between Spring and Broome Street. Upon entering this fully updated penthouse set in a magnificent pre-war building, you will be charmed by the exposed brick walls and windows overlooking quaint Thompson Street. 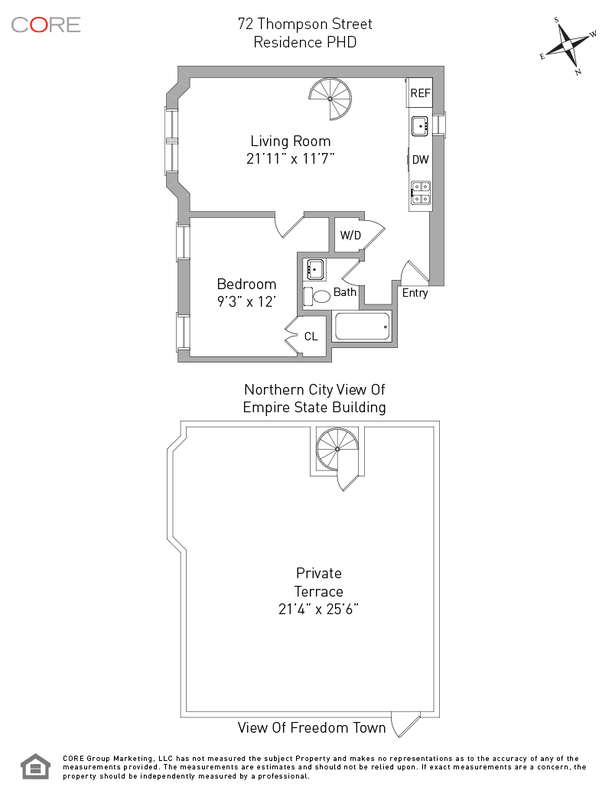 This unit boasts 10'2" ceilings, recessed lighting, beautiful hardwood floors throughout and a new Bosch washer/dryer. The kitchen is equipped with all new stainless steel Bosch appliances including a microwave and dishwasher plus granite countertops and glass tile backsplash. The bathroom has a jetted bathtub, jetted rain shower, new vanity, fixtures and tile work. The showstopper is the spiral staircase that leads to a massive private roof deck with incredible city views!